April 9, 2019 by Mike A. He told the story of God’s relationship with man, man’s failings, and God’s solution. Cleopas and the other unnamed guy had just had their resurrection moment. Where are you on your stroll with Jesus? Join us for our three week series leading into Easter! 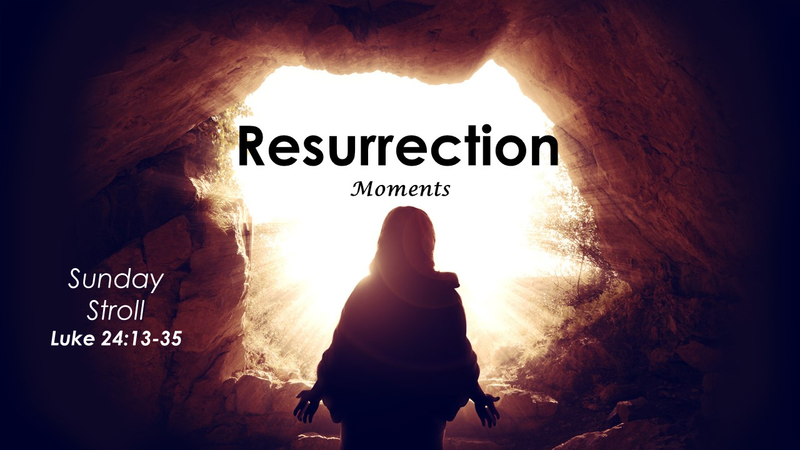 This message is part of a series called Resurrection Moments. There are 2 other messages posted in this series.